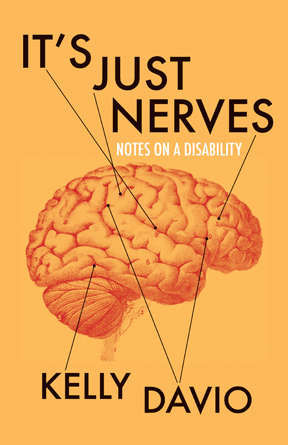 With equal parts wit and empathy, lived experience and cultural criticism, Kelly Davios Its Just Nerves: Notes on a Disability explores what it means to live with an illness in our contemporary culture, whether at home or abroad. About the Author: Kelly Davio is the author of Burn This House. She lives and writes in New Jersey. 144 pages. 5.5" x 8.5"